We provide a very friendly and professional service allowing you to relax and enjoy your tour in Acapulco and to wherever your wish is. 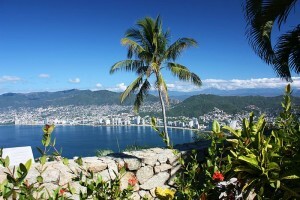 Our goal is to provide the best Acapulco experience, with competent and professional tour guides. Asistur Tour Guides will help you from the moment you arrive until your departure. They can be at your entire service, flexible and tactful as you would expect them to be. The image we project must reflect your own high standards and expectations. Our Asistur Tour Guides are carefully chosen for their personal standards, reliability, appearance and guiding skills and extensive knowledge. Each customer has different requirements. Our professional Asistur Tour Guides will provide you with a custom Asistur tour, tailored to your individual needs. One advantage to our business is that our Asistur Tour Guides get to know the destinations we serve extremely well. These tours can range from a half-day, pre-set tour all the way up to a tailored, customized to your request excursion. We do guarantee you will enjoy the company of your knowledgeable and skillful Asistur Tour Guides. Their mission, which they take very seriously, is to send you home with unforgettable memories.